I love this time of year, Easter is creeping up on us and the early springtime flowers are peeking out of the ground hoping for a sunshine. I get a deep compulsion to bake hot cross buns as soon as I see the first daffodil shoots. 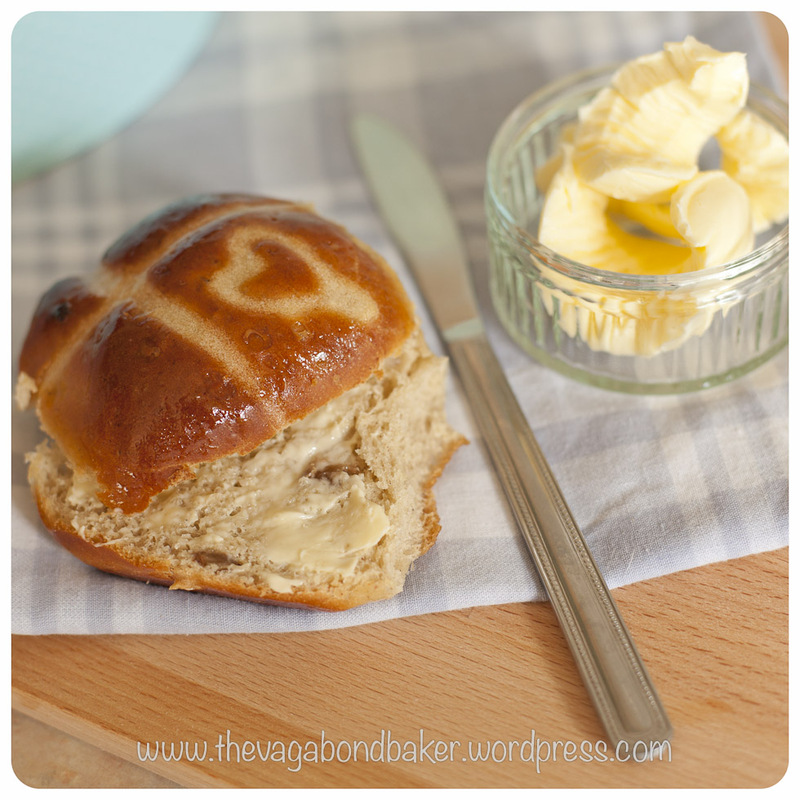 Hot cross buns are one of my favourite breads, soft, lightly spiced and enriched rolls decorated with a rather stylish and symbolistic cross. Mine have a lovely sticky glaze to further enhance the eating pleasure. No one really knows the origins of these buns, due to their cross they are obviously associated Easter, often eaten on Good Friday. They may pre-date Christianity, the cross has been used for millenia and has been seen to represent the four seasons or the tree of life. For me, they are springtime buns, I love them split, toasted and buttered. If they are fresh out of the oven though they are irresistible just as they are. Although they are available all year nowadays in the supermarket, I keep them seasonal so that I have the pleasure of the excitement of making them and eating them. There is something rather wonderful about looking forward to special festive or seasonable foods. I remember visiting a bakery on a school trip, I was around 9 or 10. It must have been around Easter time. It was a pivotal moment for me, life changing. 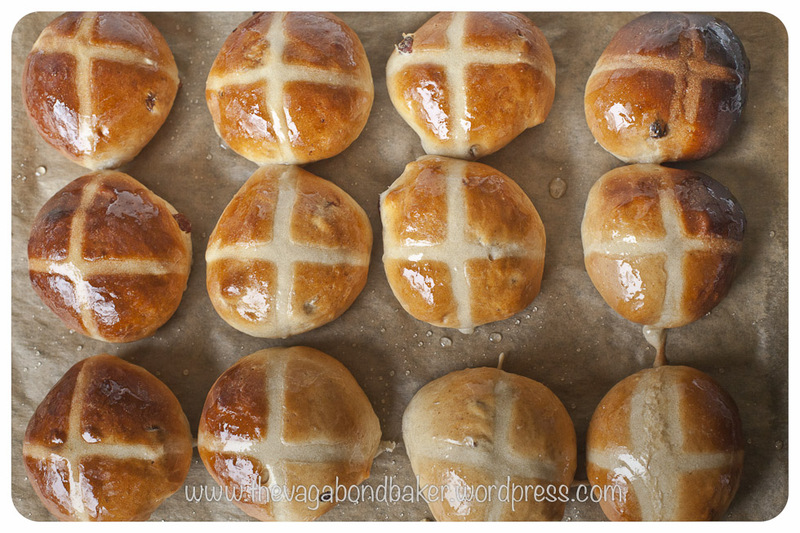 The smell of the freshly baked hot cross buns as we arrived has stayed with me all these years. We had a tour of the bakery then were given a bun to take away with us. That warm, fresh hot cross bun, tucked into that brown paper bag was possibly the greatest thing I had ever eaten up to that point. Life changing if you will, making stuff fresh is just so monumentally better than buying it prepackaged in the supermarket. 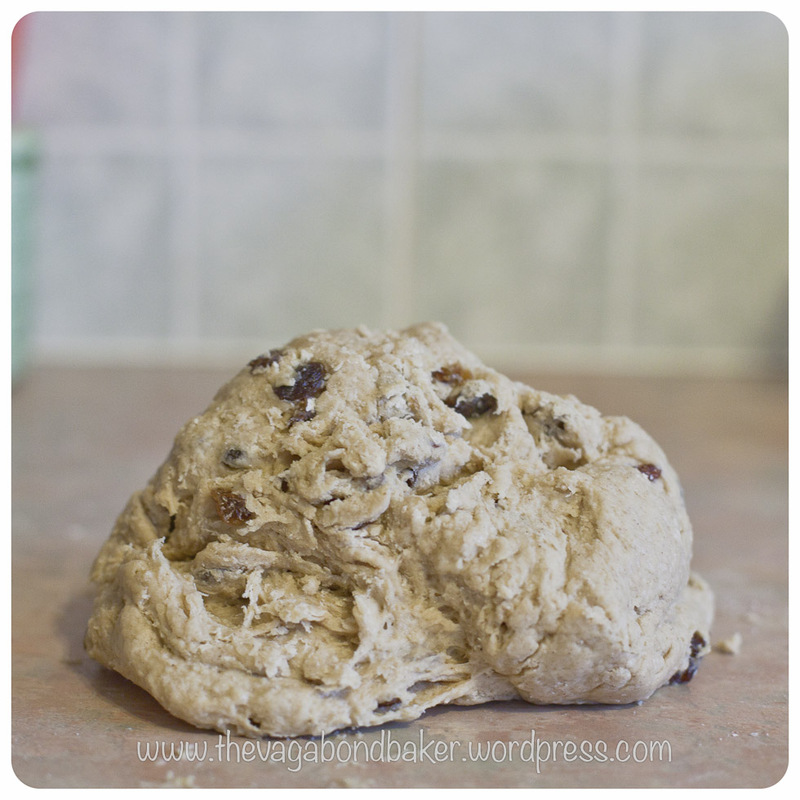 I have used and evolved this recipe for years, it is based on Delia Smith’s hot cross bun recipe in her Complete Cookery Course. Over time I have altered things to my liking, it is one of my more scribbled on recipes! I’ve ditched the candied peel as I’m not so keen and I’ve tinkered with the spices, fruit and flour. Dried cranberries make a pretty and tasty addition, but I’ve not included them in this recipe. They are easy to make, as with most yeasted breads, you just need time to prove the dough. I’m sure children would love helping to make them, and what a great way to teach them the principles of bread making. 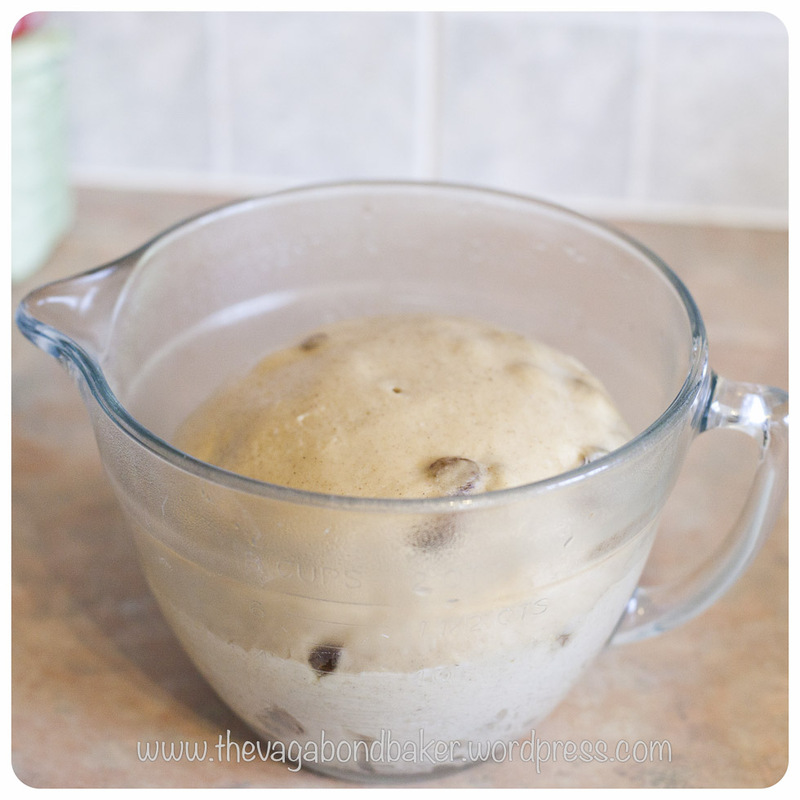 You could make the process even easier and make the dough in a bread machine. 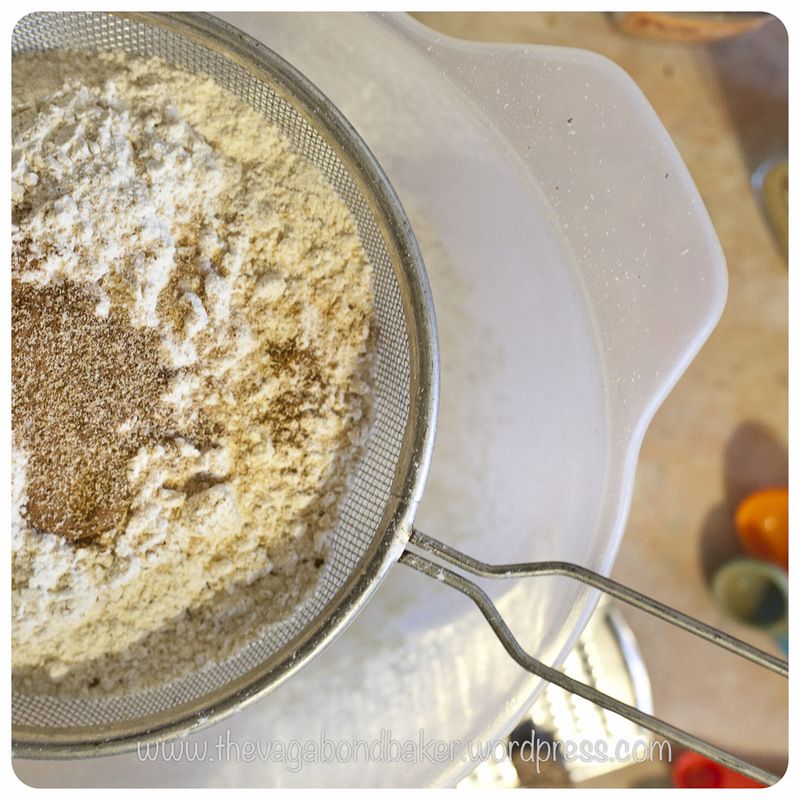 Sift the flours into a large bowl, add the yeast, spices, sugar and salt then use a whisk or your hands to combine them. 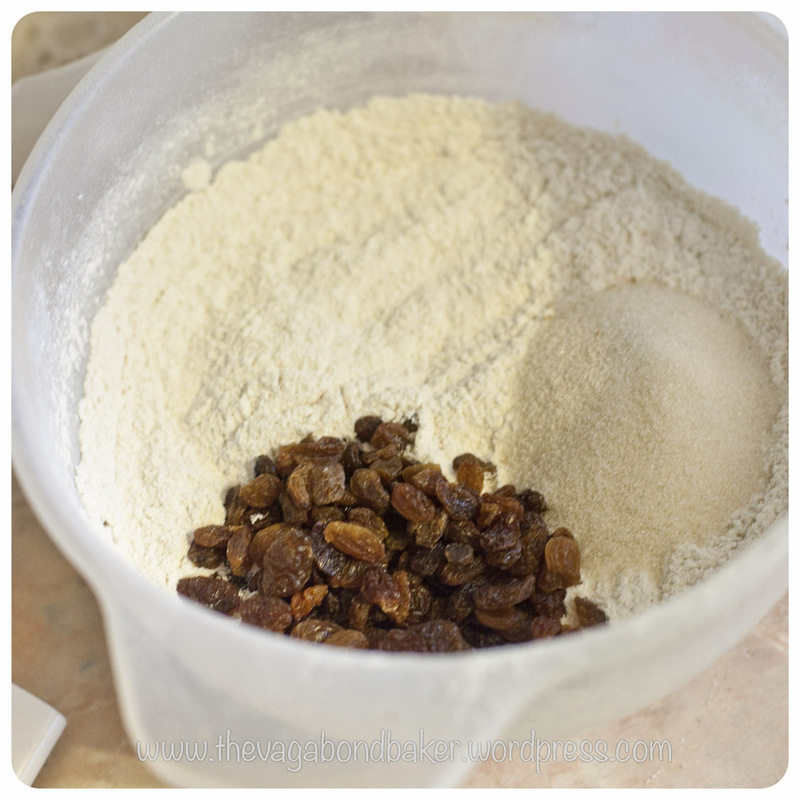 Sprinkle over the sultanas and give it another quick mix. Use your hands to mix everything together, add the rest of the milk/water/butter/egg mixture if it’s too dry. It should come away from the sides of the bowl. Add a spot more cold milk if it still needs it. 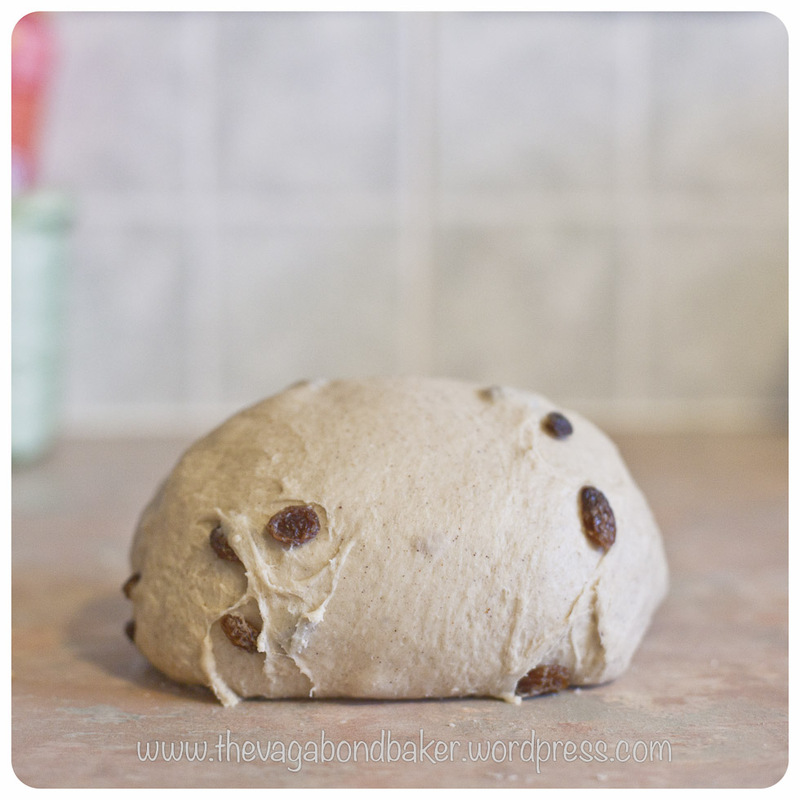 Place the dough on a clean work surface then knead the dough for about 6 minutes until smooth and elastic. You can see my kneading technique on this post. Put a dot of oil into a clean bowl and roll the dough in it to coat. Cover with cling film or a damp towel then leave in a warm place for around 1 hour for it to prove and double in size. 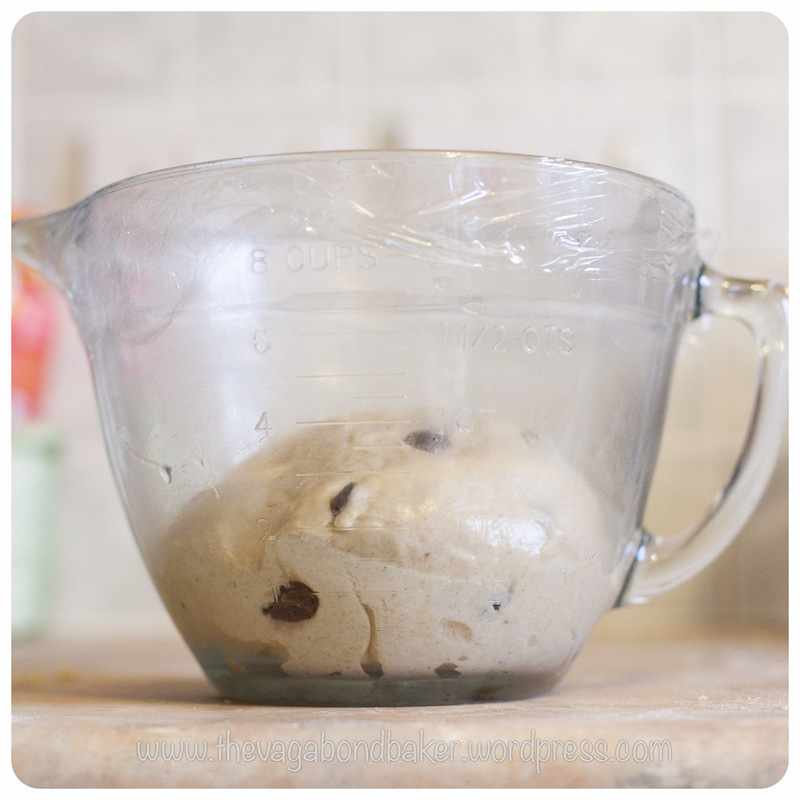 Once the dough has proved knock it back down with your fist, remove from the bowl and give it a very brief knead to take it back to its original size. 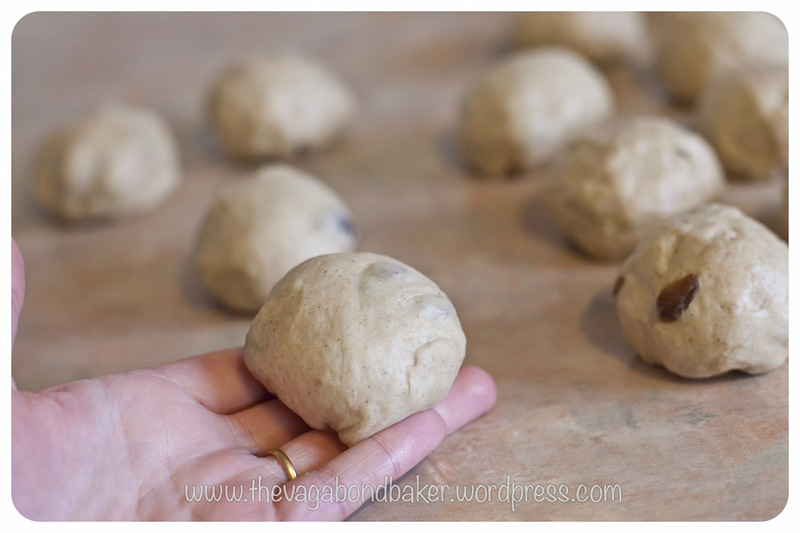 Divide the dough into 12 equal pieces and form them into neat rolls. Arrange onto the baking sheet leaving room between them to rise. Nearer together they are, they will become a joined batch, to be torn apart, a quality I love! Smear some oil over a length of cling film and loosely cover the buns with it. Leave in a warm place for a second prove for about half an hour. Once they have proved, the buns should have grown in size. Combine the ingredients above into a thick but pourable paste. Add just enough water to the flour to stop it being glue-like. The easiest way to make these crosses is to put the flour paste into a piping bag or tube fitted with a small nozzle. A cone of parchment or a plastic freezer bag with the corner snipped will do the same job. 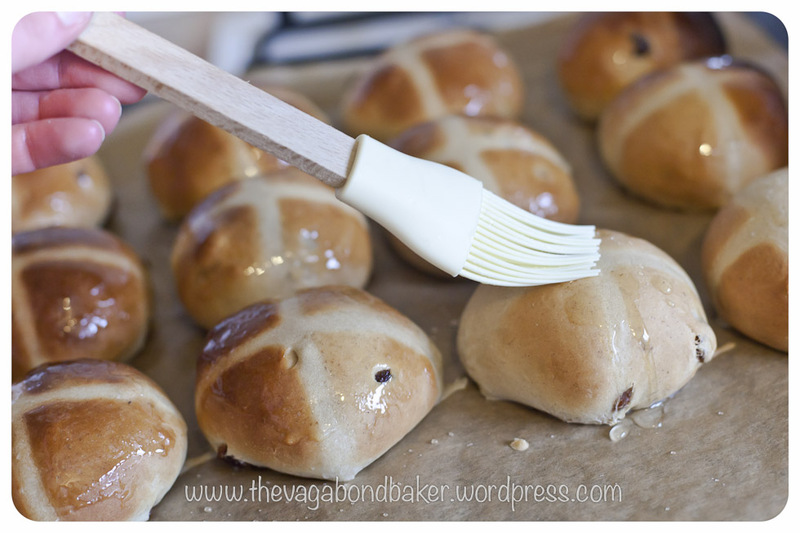 Pipe crosses onto the risen buns. Bake for around 15 minutes in the hot oven until nicely risen and golden. Tapping the bottom of a bun should sound hollow. Put the water and sugar into a small pan and gently bring to the boil, the sugar will dissolve and the liquid become a little syrupy. Once it starts to bubble, remove from the heat. As soon as the buns are taken out of the oven, brush the sugary glaze over them with a pastry brush. Leave to cool but make sure you devour one while still warm! 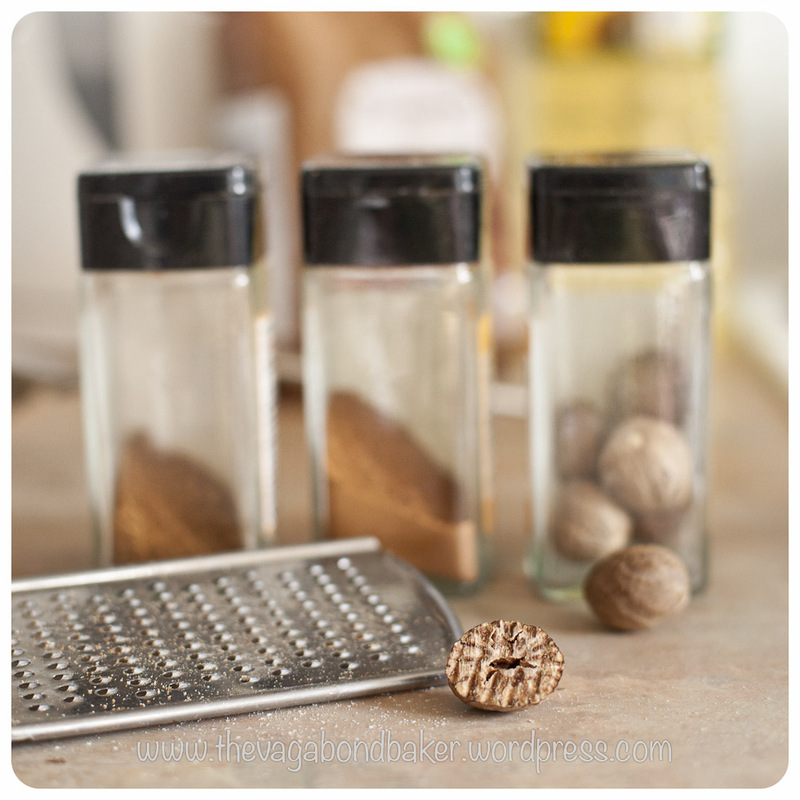 Serve split and spread with butter, or split and toast them, prefect if they are a day or two old. I just made some hot cross buns too! 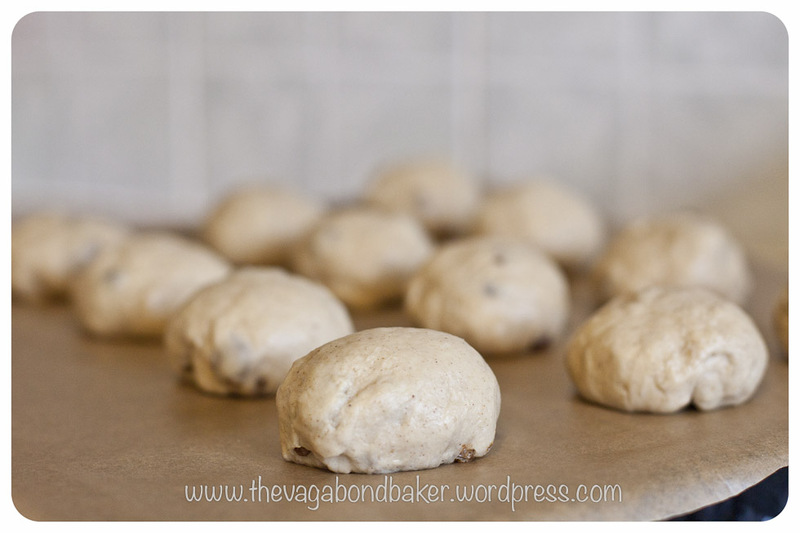 I love these buns..warm spices, dried fruits..and they just taste perfect warmed up with a little jam and butter. 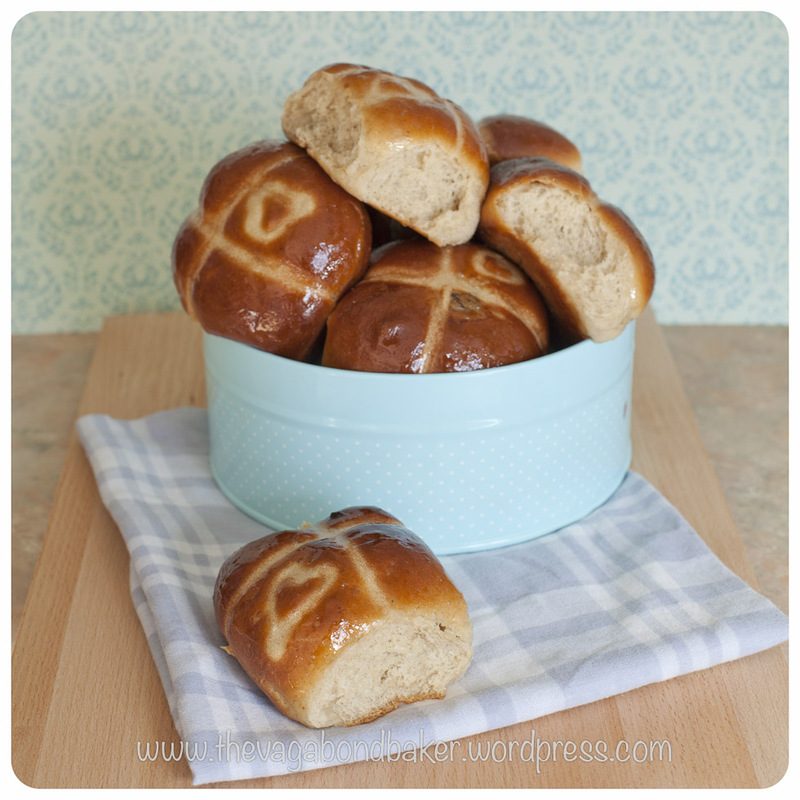 🙂 delicious for a first time but I got in a major pickle with my crosses…love your blog! Yum! 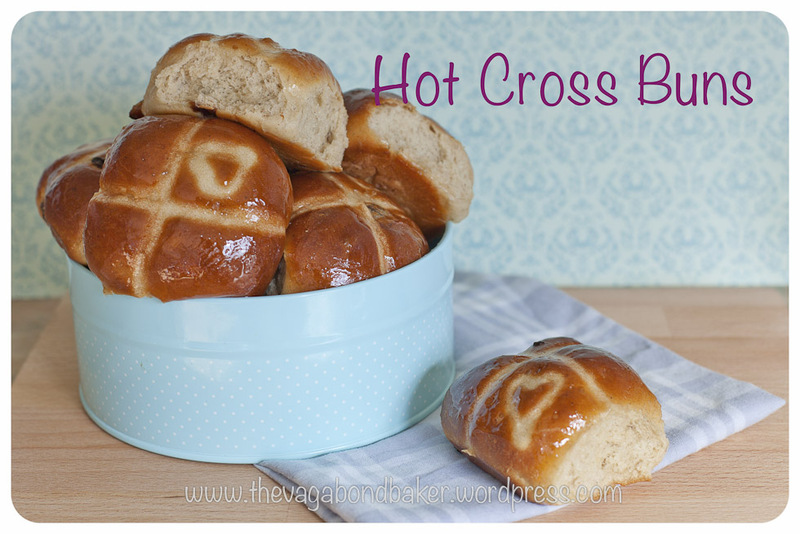 I’ve been thinking about making some hot cross buns for Easter, thanks – this recipe looks perfect! Such pretty photos! Can you tell me what mixed spice is? I just want to be sure I have everything on hand. I hope mine turn out as pretty as yours did, although I’m not as skilled with baking. I’m going to take a peek at your post on kneading (I need help in that area too!). These little buns are so cute! 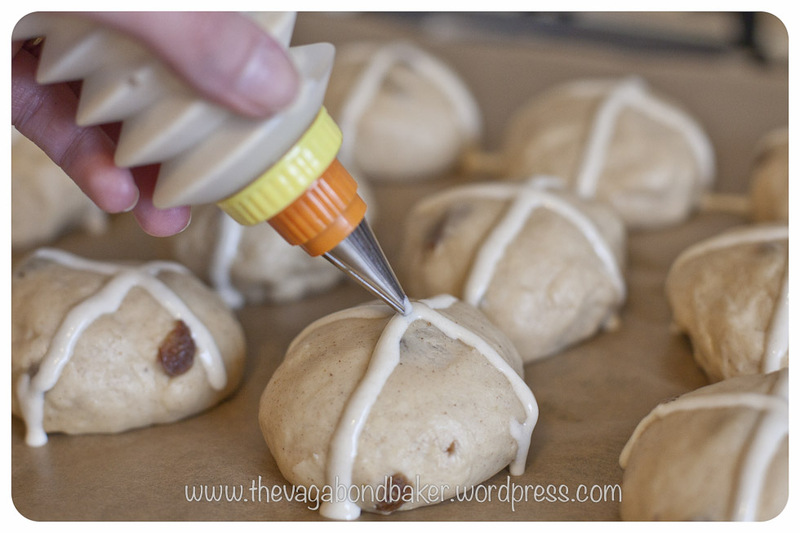 I might be looking at making these for Easter (even though we don’t celebrate in our household) but would be so cute for my little cousins, adding some ears to the buns. Thanks for the recipe! You can certainly celebrate spring time with them, that’s what I do! I love the idea of putting ears on them, do post a picture!